Paul: British & Irish American. Attending School at University of Texas at San Antonio, he was my next door neighbor. He was locked outside his dorm and my roommate and I were sitting at table a few feet away, when he walked over it was the closest thing to love at first sight that I have ever experienced. Yes, we live in a very diverse area. Mostly Latino and Hispanic descent. WHERE DID EACH OF YOU GROW UP? WERE THEY DIVERSE COMMUNITIES? Kelsey: Texan born and raised grew up in Austin TX. Somewhat diverse community very & liberal. HAVE THERE BEEN ANY SIGNIFICANT OBSTACLES IN YOUR RELATIONSHIP CORRELATED TO YOUR BACKGROUNDS? I have never felt like there were any significant obstacles that we have faced do to our differing backgrounds, we have always felt that our differing background, views, and opinions are what make us a stronger couple. It allows us to step outside of what we know and what we are comfortable with in order to learn and grow. The key is to always be open minded. WHAT DO YOU ENJOY MOST ABOUT YOUR PARTNER’S ETHNIC/CULTURAL BACKGROUND? Kelsey: His family is incredibly musically gifted, I love visiting his family’s home because it is never quiet, there is always music playing his dad could be on piano, his mother on violin, his sisters singing or his brother on the drums each one of them a completely unique style, but all of them talented. Paul: I enjoy the diversity of her mixed background in her family whether it be food or tradition it always seems like there is a new experience to have. WHAT IS THE MOST UNEXPECTED THING YOU’VE LEARNED ABOUT EACH OTHER’S CULTURE? I’ve learned to do away with stereotypes, no matter the culture or race the family love is the same and dad’s always get the good chair. ARE BOTH OF YOUR FAMILIES SUPPORTIVE OF YOUR RELATIONSHIP? Yes! We are so blessed that both of our families are so loving and happy for us. ARE THERE BIG DIFFERENCES IN THE WAY YOU GREW UP VS. YOUR PARTNER DUE TO DIFFERENCES IN RACE? I wouldn’t say there were huge differences in the way we grew up. However, we did grow up differently but I’m not sure that our race played the biggest role in those differences. I was born and raised in TX an only child of divorced parents both ex-military, I had to grow up rather quickly because both of my parents worked and there was really no one else to take care of me. Paul grew up Upstate he’s number 4 out of 6 siblings. His mom stays at home and his dad is a businessman whose job has moved them all over the world even to Japan for a short time. Family dynamic is probably the difference we have. 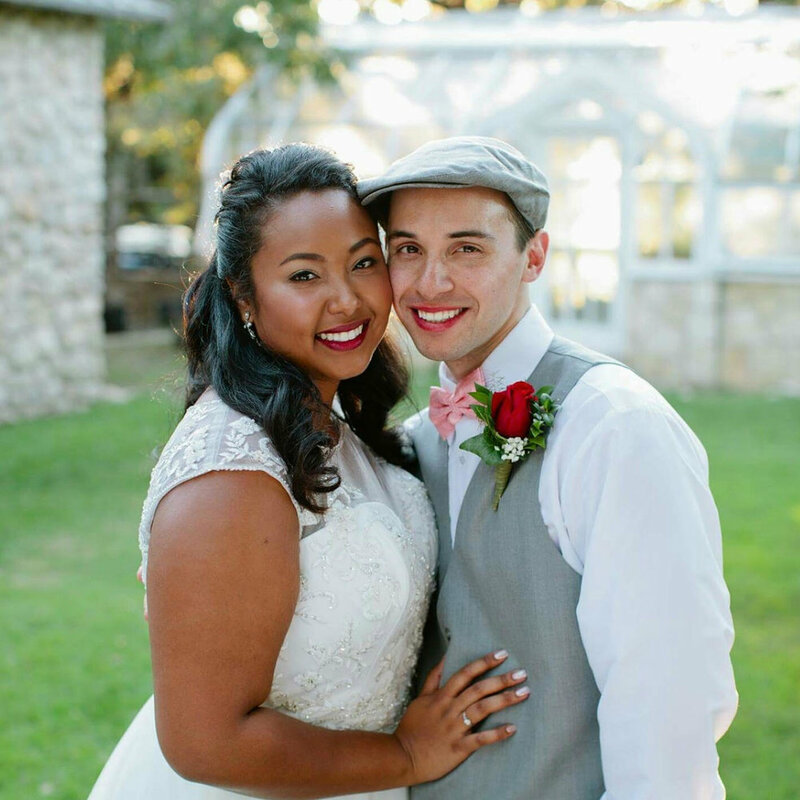 ARE THERE ANY COMMENTS YOU ARE REALLY TIRED OF HEARING FROM PEOPLE IN REGARDS TO YOUR INTERRACIAL RELATIONSHIP? DO YOU TALK ABOUT RACE A LOT? Yes, and I feel like even more so in this past year with everything happening in our country. It can be a little unsettling for an interracial couple watching the news today. The fear that our country isn’t as forward thinking as we had hoped for. It’s important to talk to each other about these things to help one another gain perspective and in turn help others gain that same insight. 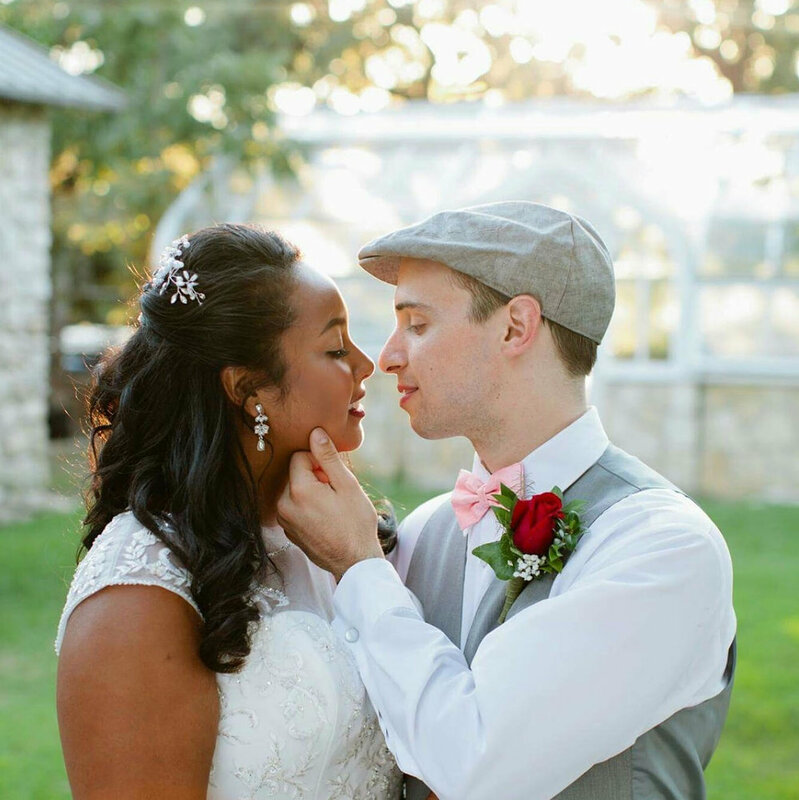 We’ve been given a unique privilege as an interracial couple to have the ability to reach more demographics and possibly reach people who would have otherwise felt defensive or less eager to be open-minded on topics that affect our country. I believe just being who we are as an interracial couple shows people who might not even know us that different is beautiful and despite what they may have been taught or what they believe love is love no matter its race, or religion. WHAT DO YOU THINK IS THE BIGGEST CHALLENGE IN BEING IN AN INTERRACIAL RELATIONSHIP? Trying to see things from the other person’s perspective, it’s one of the reasons why I feel that it is important to talk about race in our relationship. We’ve been together for going on 6 years and we are still learning how to communicate our perspectives. The world we live is unfortunately not a fair one, but it is important to make the best out of any situation that you are given. We’ve talked about starting a family soon and how we’re going to raise our children and keep them informed I don’t want my children to ever feel inadequate for being mixed I want them to feel empowered by it. My dream for America has already started to come to life as a child of mixed race I am happy to eventually have children of my own who are even more culturally and genetically diverse than me. I am both excited and optimistic on what kind of enlightened future they will have. What an adorable couple – you will have to do another post/update when you have children!